The Forest of Dean has many of beautiful opportunities to enjoy the change of colours and scenery in the winter season. Enjoy these wonderful changes by taking a walk or enjoying a bike ride on one the many paths, but of course any such exercise should be followed by a hearty hot meal! 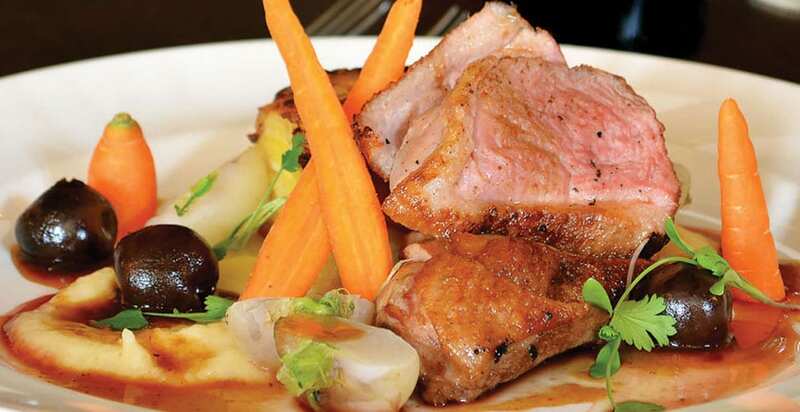 There are plenty of restaurants serving warm winter foods in the Forest of Dean. If you have have just completed a lengthy cycle route or a leisurely walk, restaurants such as Verderers at The Speech House offer delicious warming dishes including a homemade soup for starters followed by, one a Sunday, an irresistible roast strip loin of beef, served with Yorkshire Pudding a pan of gravy to be finished off, with apple and sultana crumble and creamy custard. These spectacular hot meals accompanied with the warm atmosphere found at Verderers creates a perfect winter setting. There is plenty of magnificent flora and fauna found in the Forest of Dean in winter. 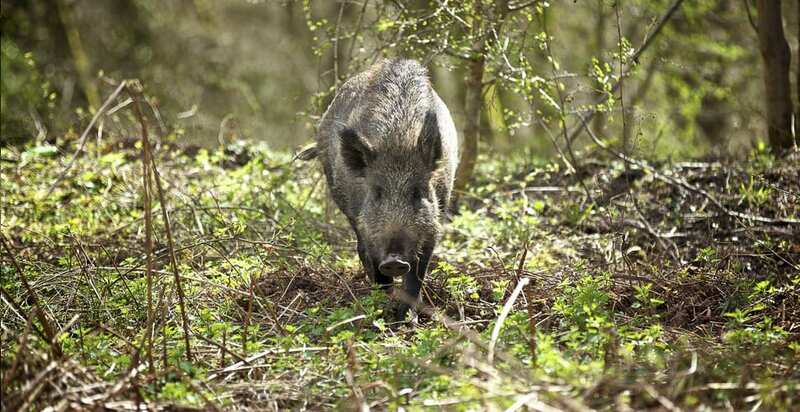 Some of the wildlife to look out for include deer and wild boar, best seen in morning or dusk a they are pondering around the forest floors. If the forest’s deer are hiding from you, smaller animals such as grey squirrels, voles, hedgehogs, foxes and dormice can be found lurking and sheltering in the trees and pastures. 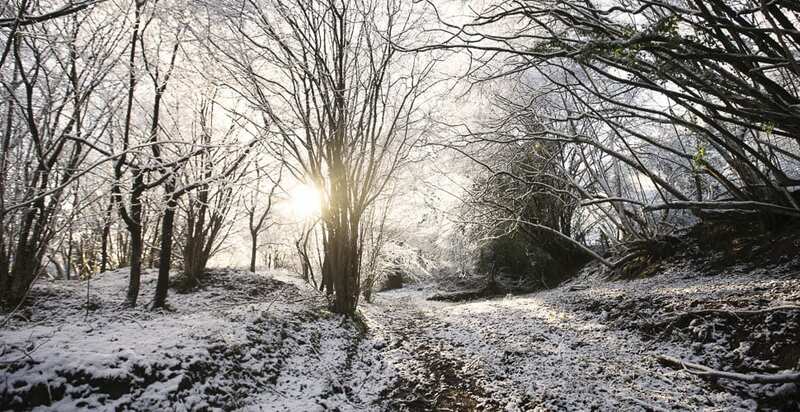 So long as you wrap up, Winter is a great time of year to get out on those many trail paths that the Forest of Dean provides, including the Family Cycle Trail, Verderer Trail, the Free Miner Trail and the Downhill Trial. They all vary in difficulty from mountain biking to a classical winter road ride. Cycling is a great way to travel through the forest to experience the wonderful surroundings, and to see the lovely wildlife that comes out during winter. Walking is another great way to explore the forest, and during the winter season you may even get the chance to tramp through some cold, crunchy, powdery snow! Some excellent walks with amazing scenery that can’t be missed in the forest are the Goodrich Castle Loop where you get to see two of the forests best features. The Symons Yat and High meadows Woods where on the way there is a beautiful view of Symons Yat and the remains of an ancient hill fort and settlement and the Nordic walk which various views of the forest can be seen are just a couple of favourites. You will be offered a very warm welcome if you pop into The Speech House Hotel and enjoy a meal or afternoon tea with us.